Regular cleaning helps preserve of pewter pieces. Whether you're simply dusting or administering a full tarnish-removing shine, these steps can help you care for this soft, durable, and beautiful metal. 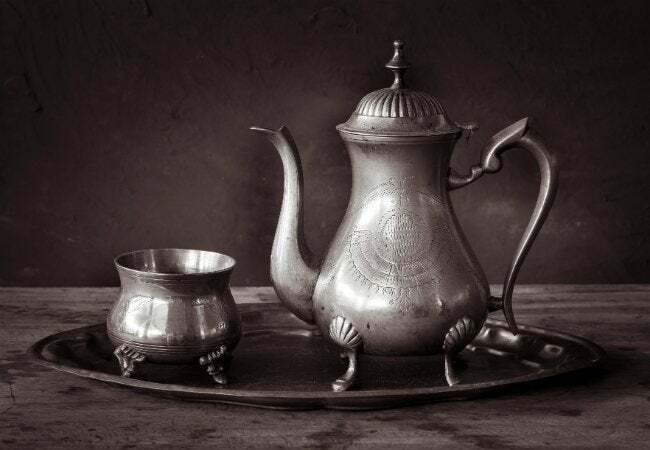 Used in everything from caskets to kitchen utensils, pewter remains popular with artisans and crafters in part because it does not easily rust or corrode. Pewter’s easy-clean, low-maintenance requirements make it the perfect material for jewelry, vases, picture frames and sculptures. On the flip side, the soft metal is susceptible to nicks and scratches. But kept clean and protected from extreme temperatures, pewter pieces keep their beauty for generations. Squirt in some mild dishwashing soap. Dip in a sponge and squeeze out the excess water, then proceed to wipe down the pewter surface. Rinse off the piece and dry it with a soft cloth. Polished pewter has a smooth, shiny surface that’s easier to clean but also shows more imperfections on its reflective surface. Polish this type of pewter regularly with an all-purpose metal polish (like Brasso) or a homemade cleaner (see recipe below). How often you polish depends simply on how shiny you like your pewter to be. Satin pewter has a rougher-grained matte patina that requires only annual washing. 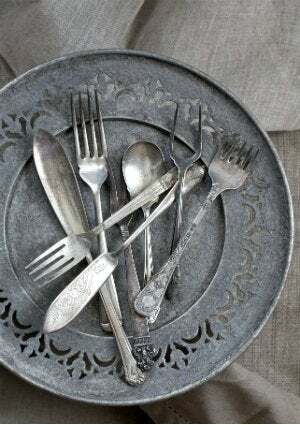 If it’s time for a touch-up, the best way to clean such pewter is with a mildly abrasive homemade scrub (see recipe below). Apply the polish with very fine steel wool in the direction of the grain; be careful not to leave scratches. Oxidized pewter has been treated with a darkening agent to give it an antique look. It should not be polished. A gentle wash is all you want to keep it clean. Mix one cup white vinegar with a half-cup white flour to create a paste (for grainy-finished satin pewter, add in one teaspoon of salt, which makes the paste slightly abrasive and improves its cleaning ability). Leave it in place for 30 minutes, then rinse off with warm water and let dry. Optional: Boil a small amount of linseed oil, then mix in rottenstone (a powdered limestone available at your local home center). Apply this second paste with a soft cloth. Rinse immediately, then dry thoroughly. If your pewter piece has sentimental or monetary value, the wise course may be to leave it alone. Talk to a professional jeweler; some collectors prefer not to clean or polish pewter, because the metal gradually takes on a patina that people prize. To preserve this aged finish, many choose to maintain pewter simply by dusting it occasionally.